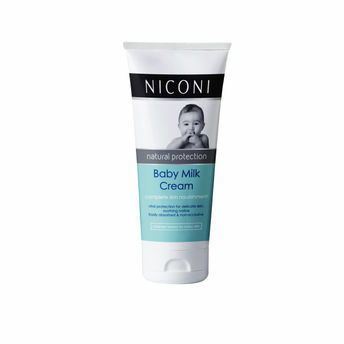 Give your baby's skin all the nourishment it needs with Niconi Moisturising Milk Cream. A unique combination of natural milk extracts and vitamin A and E with double nourishment, this cream helps replenish moisture and leaves the skin feeling baby soft. Packed with rich emollients and added moisturisers, this cream gives your baby's skin an immediate moisture boost. 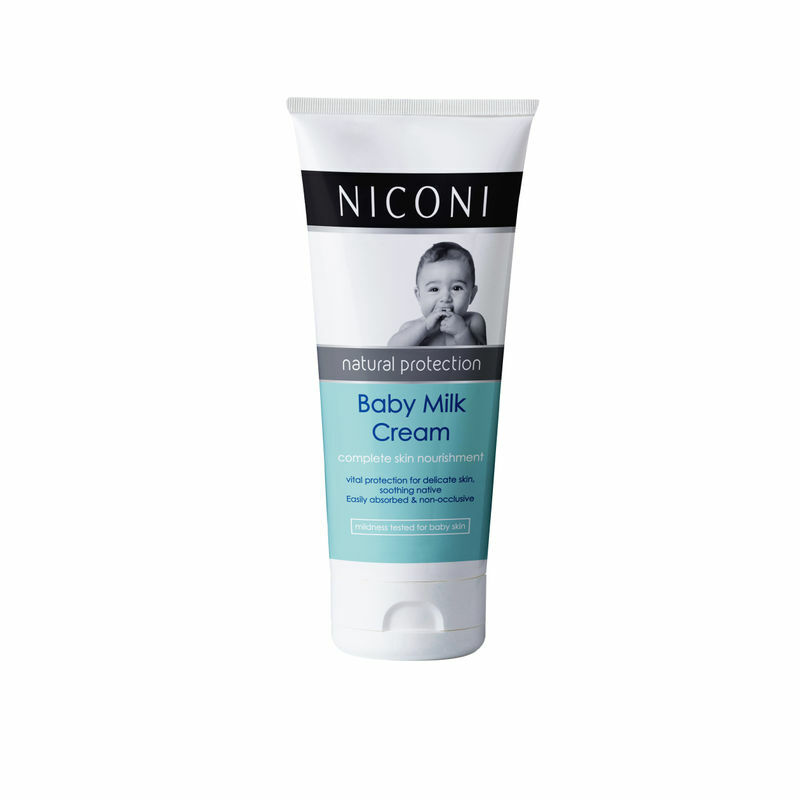 Niconi’s Baby Milk Cream is infused with multi-layer moisturising ingredients and nutrients such as sodium lactate and sodium gluconate, which gets quickly absorbed into the skin, making it soft, supple and fresh. Sodium lactate and sodium gluconate are superior bio-based ingredients, which increase skin hydration and offer extended moisturisation upto 24 hours. One of the safest baby creams available, it nourishes the skin and leaves it softer, smoother and healthier after the very first use.